Super strong hulls which meet the highest of standards regarding build quality and hull stability. Usually commissioned by the armed forces, police and commercial organisations. 1998 hull stamp but launched 2000. -Gps has side scan sonar included. Delta Ribs are at the forefront of rigid hull inflatable technology and are commonly built for the government agencies, military and rescue organisations. The owner has told me he has seen 32 knots from this rib with 8 divers & tanks/equipment on board! They are renowned for their sea keeping, performance, stability and fantastic handling. Work Horse, Play Thing.... what ever you want from this Rib..... it will deliver! She was launched 2000. 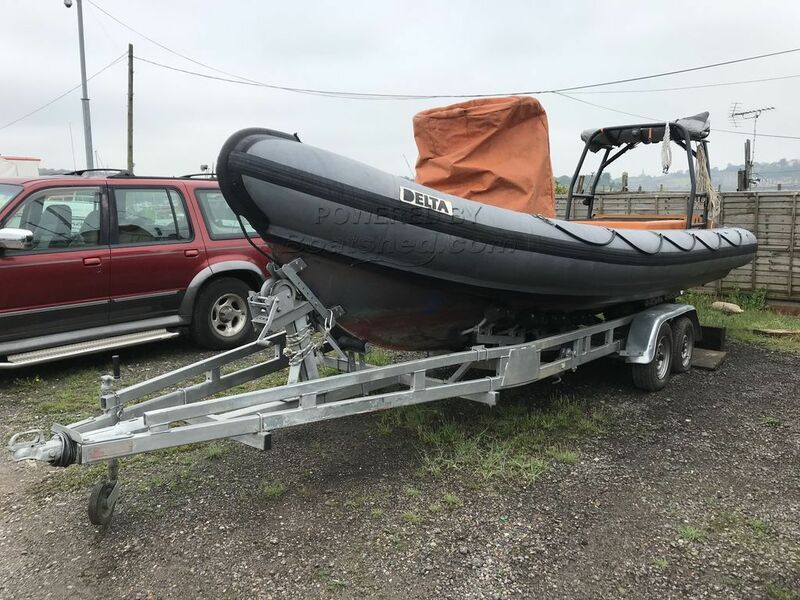 This Delta 6.5x Rib has been personally photographed and viewed by Jamie Nash of Boatshed Medway. Click here for contact details.